NCRP Report No. 165, Responding to Radiological or Nuclear Terrorism Incidents: A Guide for Decision Makers, provides the most comprehensive summary to date of recommendations and key decision points for planners preparing responses to radiological or nuclear terrorism incidents. It is unique because it considers both forms of terrorism within one publication while accounting for their fundamental differences. 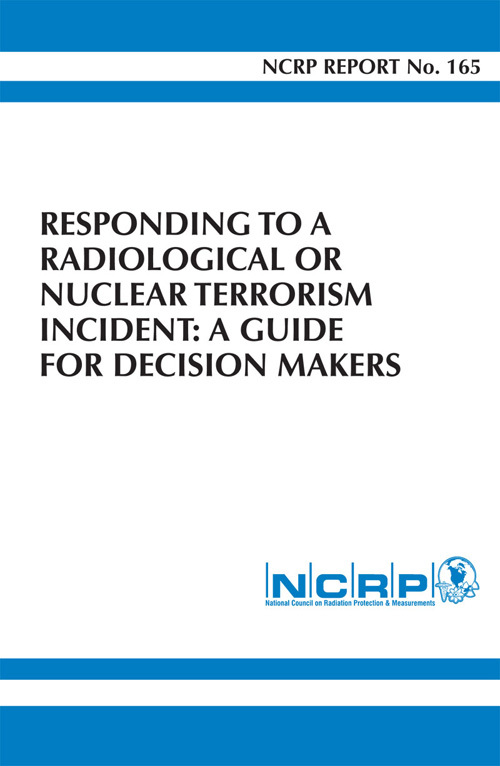 It is not uncommon for radiological or nuclear terrorism incident planning preparations to be broadly addressed together in a single radiation-specific hazard response publication. The potential consequences of nuclear terrorism are radically different from those of radiological terrorism and therefore the planning and preparation must take into account these differences.